Meeting Professionals International (MPI) and the IMEX Group are collaborating to incorporate more experiential activities during IMEX America in Las Vegas October 16-18. This year marks the eighth consecutive year in which MPI serves as the strategic partner and premier education provider for the tradeshow, including powering the Smart Monday program on October 15 – the day before the show floor opens – and presenting the keynotes across the week. In addition, the MPI Foundation will present its largest fundraising and networking event of the year – Rendezvous, the IMEX America Night. 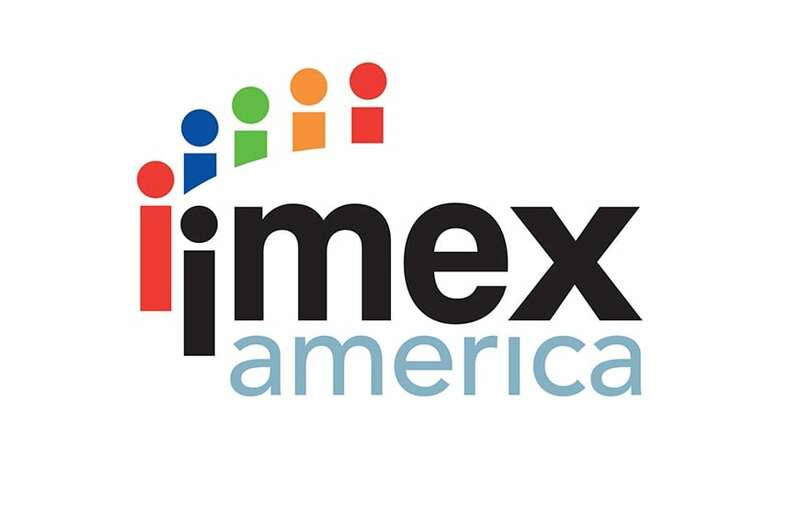 The exclusive IMEX-MPI strategic partnership fuses the industry’s two biggest organizations into a one-of-a-kind, unrivaled resource, providing opportunities for meeting professionals to grow smarter and stronger together through year-round activations like those at IMEX America. Smart Monday powered by MPI will feature new, surprise experiential activities throughout the day as well as 20 education sessions covering topics such as designing memorable experiences, leadership, contracting, heat maps, hospitality sales coaching and managing stress in the workplace. During the tradeshow, the association will offer 15 booth education sessions on safety and risk management, inclusive experiences, strategy and business outcomes, and more – many of which will be facilitated by Jessie States, CMM, head of meeting innovation at MPI, who was recently awarded the 2018 Pacesetter Award by the Events Industry Council. Most of MPI’s education is aligned to CMP International Standards and attendees can earn up to 12.25 clock hours through MPI sessions during the week. MPI and the IMEX Group will present the following inspirational keynote and masterclass presentations during the show. Events change lives, businesses and communities. In this journey through the most inspiring events from around the world, this session will look at how a change in behavior becomes a legacy. How do some events become life-changing experiences and leave an indelible mark in the collective memory? Employers are under pressure to make sure their workforce is diverse, inclusive and representative of the customers they serve. But a diverse workforce doesn’t just lead to better innovation–it has been proven to grow business and profits. This session will explore how to work with different people, respect their differences and be effective. Whether trying to set a vision, lead change, inspire creativity, teach important lessons, market a product or service, or sell ideas, storytelling can help do it better. This session will cover how to become a more effective leader through storytelling and how to do it right. Based on the premise that experimentation fosters a culture of innovation, one of C2’s stellar speakers will guide attendees through an atypical brainstorming session. Attendees will collaborate with peers, challenge their biases, shift perspectives – and unlock creativity. Earlier this year, the IMEX Group announced a three-year partnership with C2 International to drive innovation and creativity throughout the meetings and events sector during its shows in Frankfurt and America. Additionally, the MPI Academy will deliver three certificate courses including its Healthcare Meeting Compliance Certificate (HMCC) Program, which is scheduled for Sunday, October 14 prior to the show, and its Women In Leadership Program on Smart Monday. The academy is also introducing the new Crisis Communications: Anticipate and Communicate Program, a six-hour training course designed to teach meeting professionals how to audit vulnerabilities, create a crisis communications plan, train staff and use social media before, during and after a crisis. This course will be delivered in partnership with Little Bird Told Media, which was founded by Alex Plaxen, recipient of the MPI 2018 RISE Award for Young Professionals; also scheduled on Smart Monday. The MPI Foundation will return this year to present Rendezvous, the IMEX America Night on Wednesday evening, October 17, at Drai’s, a lavish indoor and outdoor club located on the rooftop of The Cromwell hotel, which is a Caesars Entertainment property. Funds raised from the signature event are invested in scholarships, grants and pan-industry research – all of which help secure the future success of the meeting and event industry. Last year, the MPI Foundation awarded 246 scholarships and 18 chapter grants.